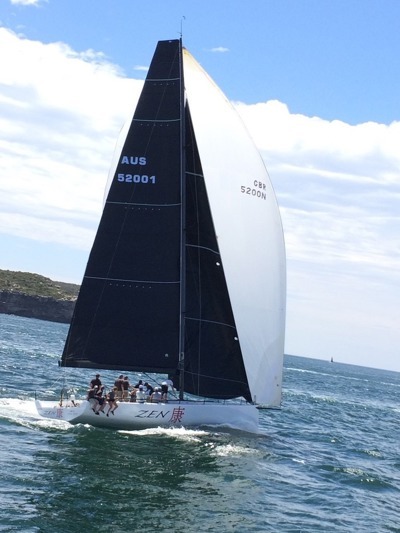 Gordon Ketelbey has been racing Zens for years, however this TP52 is a change from the Sydney 38 and Farr40 which he has been campaigning in the past. Ketelbey has raced extensively in major races out of Sydney and Victoria which he will be looking to be able to compete in again with the new incarnation. The boat has been recently acquired after racing on the TP52 Super Series for many years and has undergone many modifications to make sure it is up to the challenge of the Rolex Sydney Hobart Yacht Race. “About half the TP52 crew are from my Farr 40, the others being some very good sailors. Our aim for Hobart is of course to win and having competitors such as Ichi Ban is going to be a big hurdle; but who knows,” said Ketelbey.